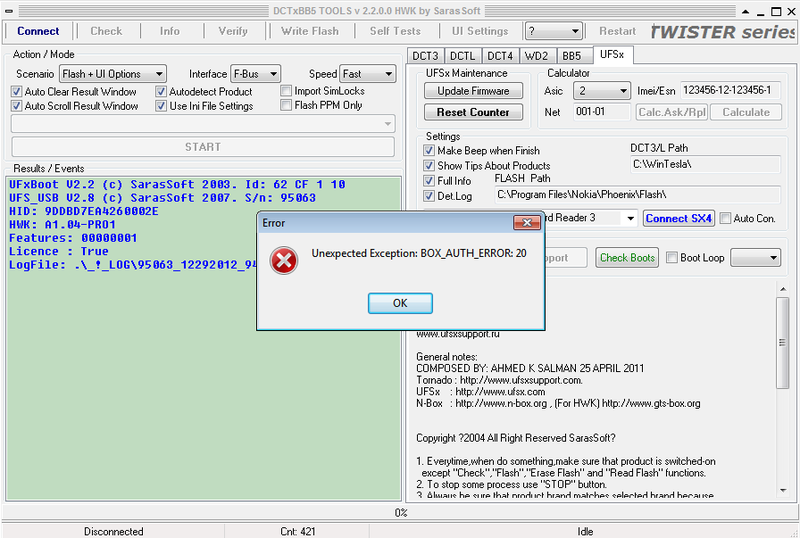 While you open your DCTxBB5 TOOLS HWK SARASSOFT and trying to connect to flash mobiles, sometime the below error massage will show. But you can solve it yourself by following the below steps. For this we need UFS REPAIR TOOL which can download by searching in Google and the software is about 6.96MB in size. Browse and Open your 00095063.fbi ( if your are not getting the file, just change the file type in "Files of Type box"
Now open the DCTxBB5 TOOLS HWK SARASOFT, click on Connect it will work fine.